Brittany Bailey also known as Pretty Handy Girl has decorated this beautiful lampshade with an old map. 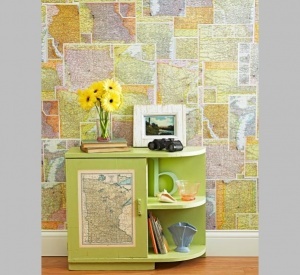 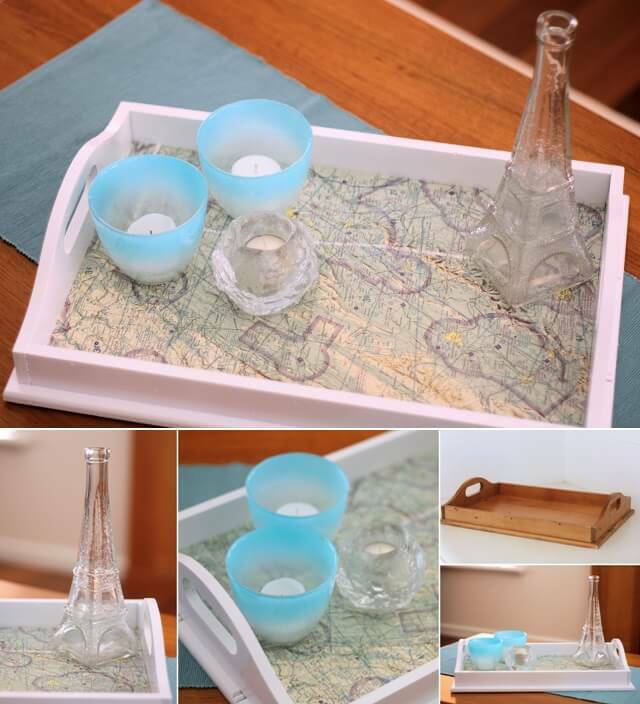 This can be a great addition to the room of those who have got a strong wanderlust. 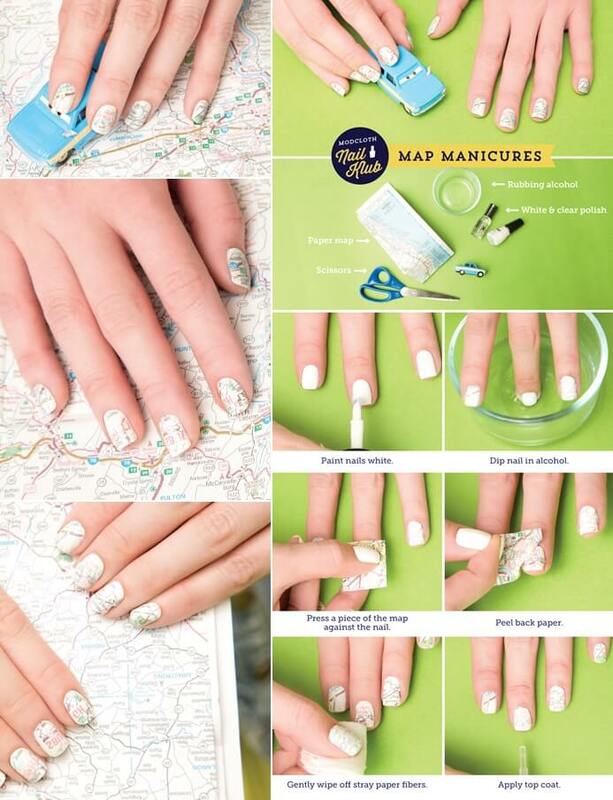 Anna at Mod Cloth has shown a great nail art tutorial that you can also try with the help of a map. 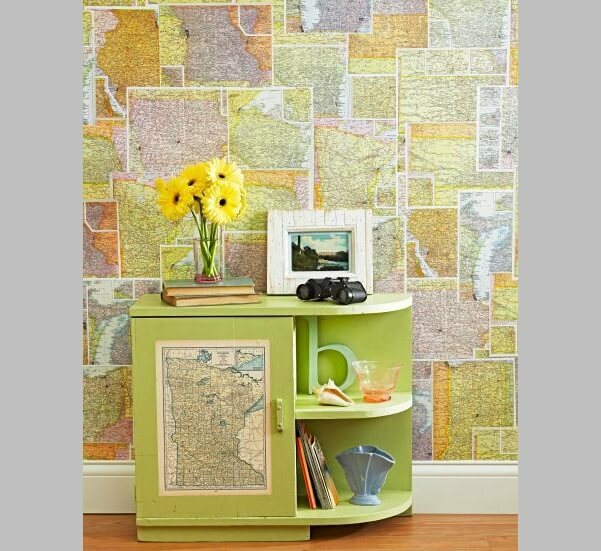 How cool your nails will look with a real map print transferred onto them. 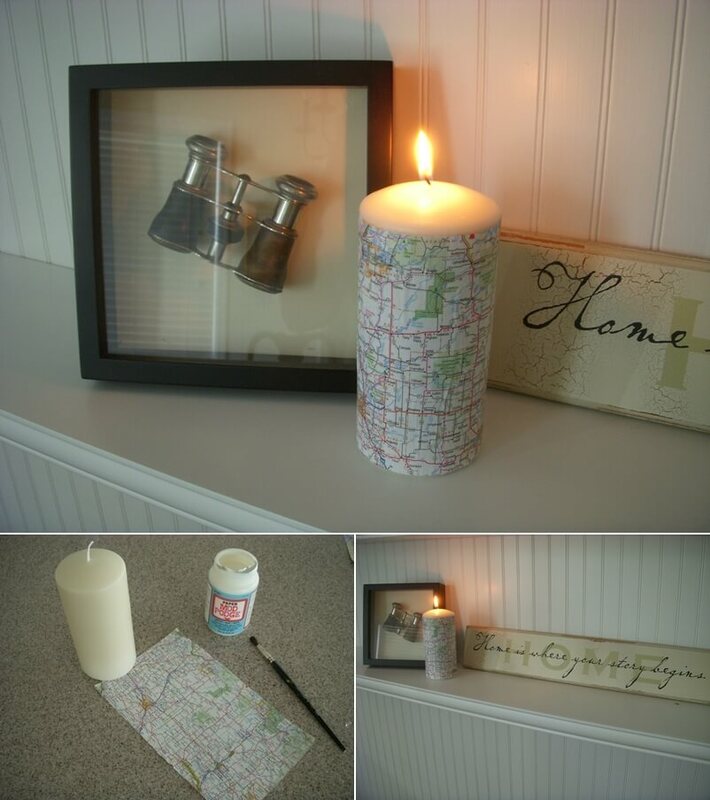 Amanda at Crafts by Amanda covered wooden birdhouses with maps and they look so beautiful and totally unique as well. 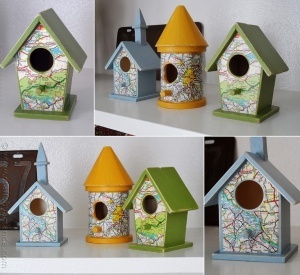 She first painted the birdhouses with acrylic paints. 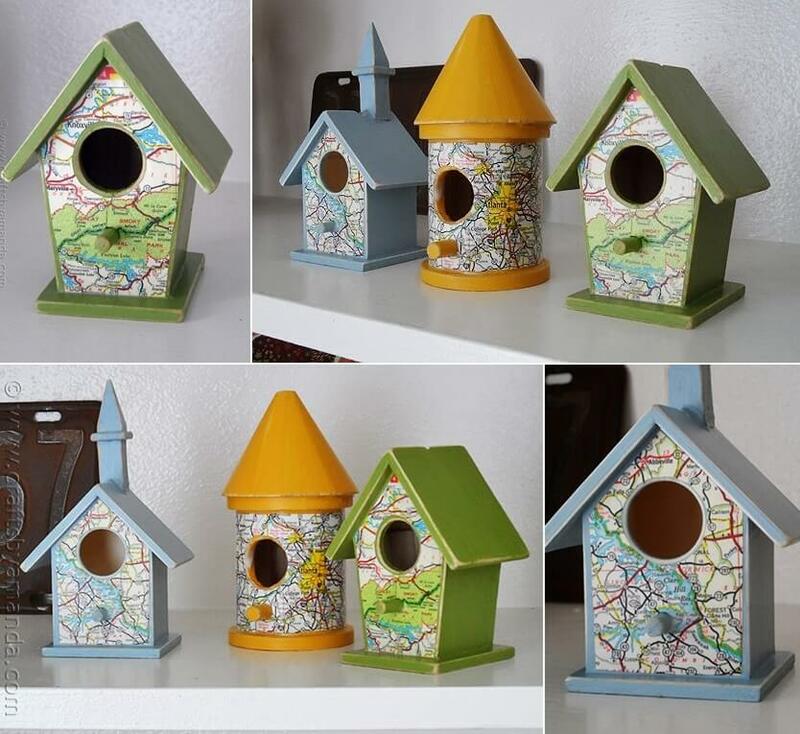 Then took the size of the sides of the birdhouses and then decoupaged the maps. 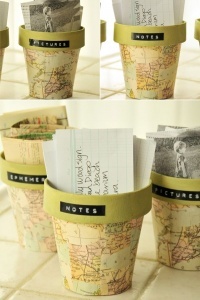 Little Merriments Etsy Shop has another great way to recycle an old atlas. 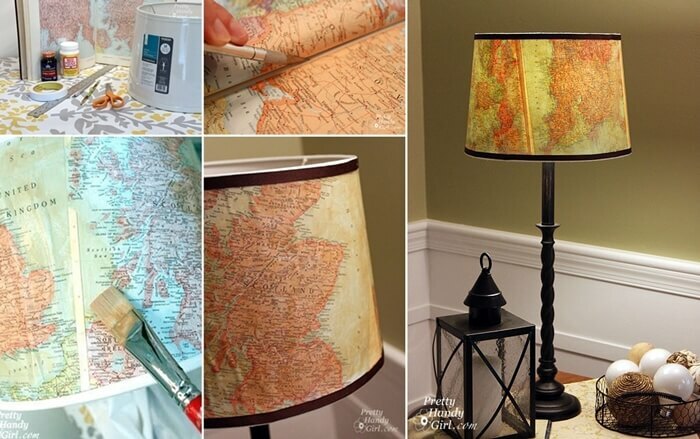 Simply punch the leaves of an atlas or an old map with a butterfly shaped punch and make a garland that you can hang anywhere in your home where you want to add a little travel inspiration. 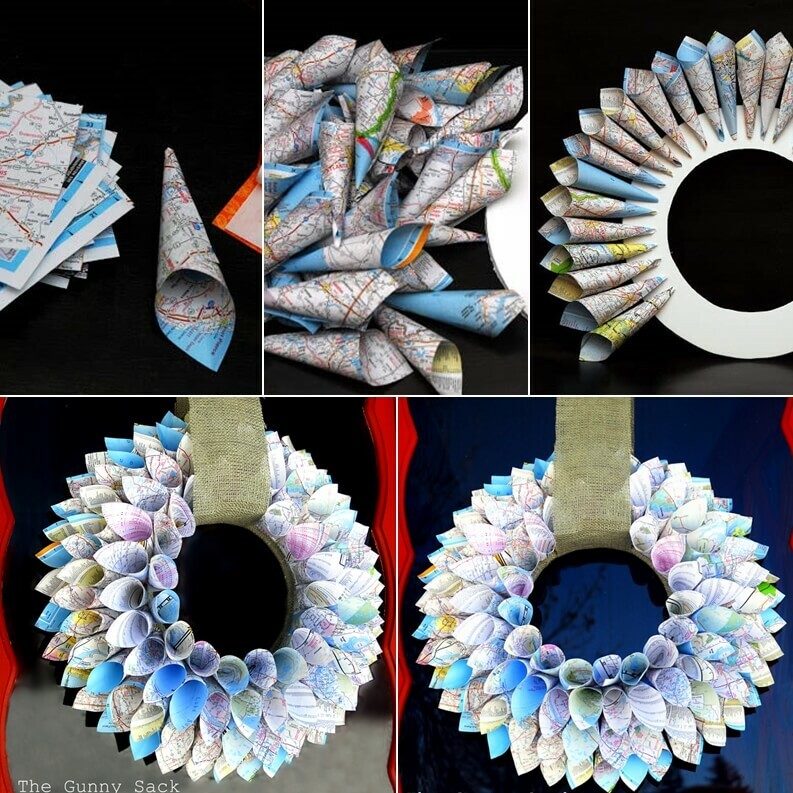 Tonia at The Gunny Sack has created this wreath by making cones from pieces of maps. 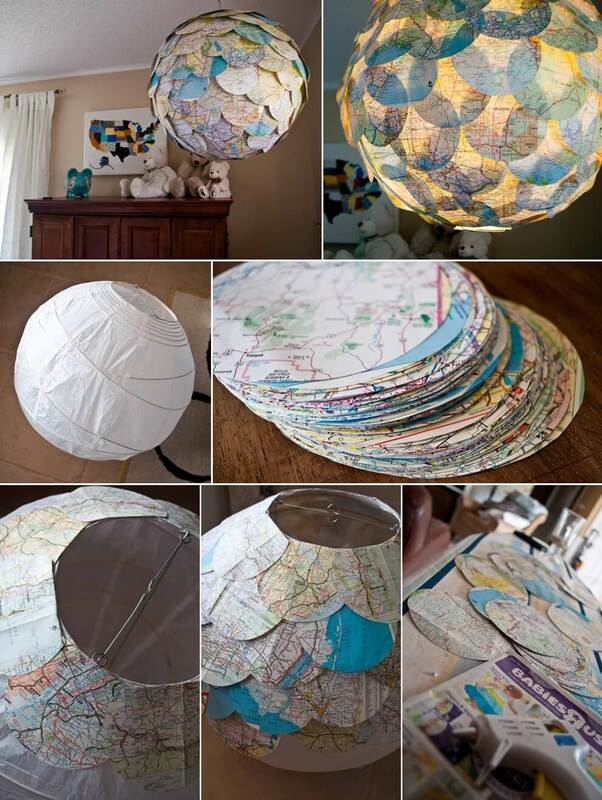 Then she glued them all to a cardboard circle. Something Monumental has a great idea for your old shoes. 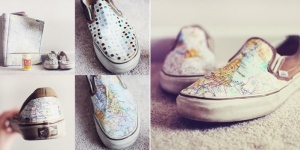 You can give them a makeover in the form of a whole new interesting look of map shoes. 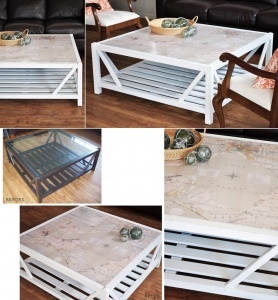 Kristine at The Painted Hive found an old coffee table for just 10 bucks and then she gave a wonderful makeover to it by covering its glass top with a map. 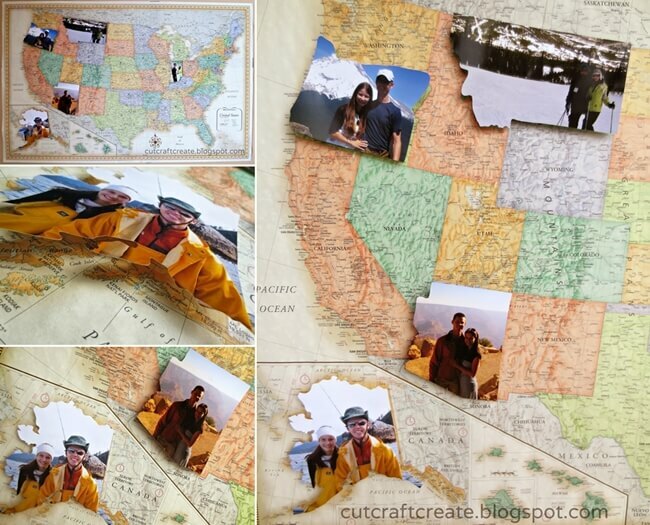 Cut Craft Create has an idea for those who often go to different places for spending holidays. You can paste your pictures in the shape of the place’s map where you have been. Allison of Paisley Sprouts gave a whole new look to a paper pendant by gluing discs of vintage maps. 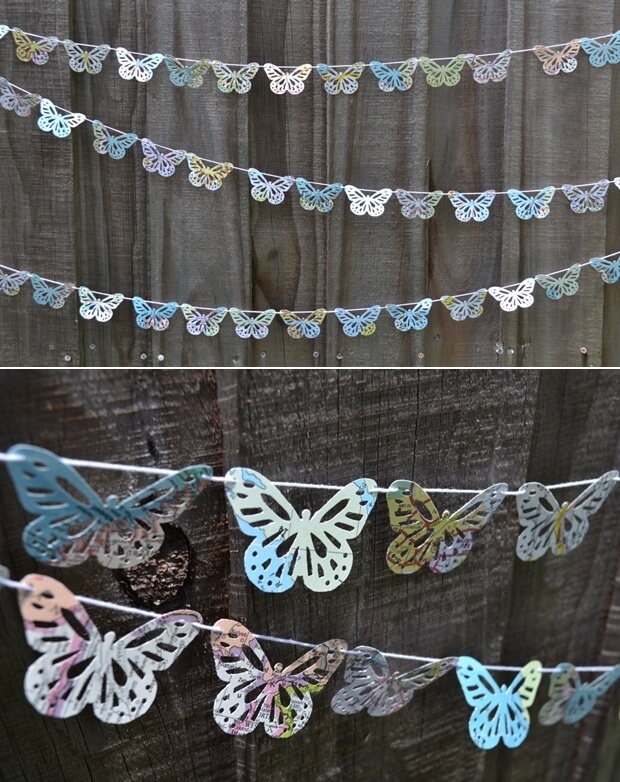 After the makeover the pendant looks just stunning.